Being a well established-organization, we are engaged in trading and supplying a distinguished range of PLC. Offered machine is precisely designed at vendors' end to be utilized in different industrial control operations. At the time of procurement, our provided machine is stringently examined by a team of quality experts in order to ensure its flawless performance. To cater the diversified requirements of the clients, the provided machine is designed with various technical specifications. 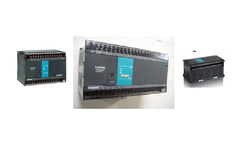 Being a customer focused organization, we are engaged in offering Schneider Programmable Logic Controller range 3 mono-block models of 10/12/20 i/0 versions with or without display unit & key. Before the end delivery, these are thoroughly checked by the quality analyzers of our firm on varied parameters to ensure their flawlessness. 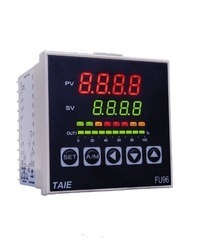 We are Manufacturer & Supplier of TAIE-PID Controller and TAIE-PID Controller. 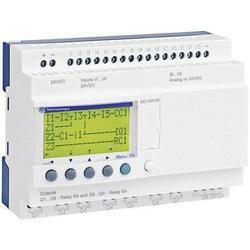 Our product range also comprises of solar vector drives, HMI & MMI Systems, and AC Servo Systems. We are supply and trading of Delta PLC make 14ss,12sa,28sv, eh series. 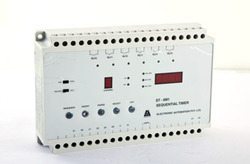 Our organization is engaged in offering a high performing array of S Series Sequential Timers. These quality-approved products are dedicate sourced from the most authentic vendors of the market. The offered range of products is also available in different sizes and specifications according to the patrons demands.